People’s History Museum (PHM) has appointed award winning Manchester writer Stephen M Hornby to be a Playwright in Residence in a project supported by the Arts and Humanities Research Council (AHRC) through the North Weston Consortium Doctoral Training Partnership (NWCDTP). Stephen will be using the residency to research and write a new play based on the life of revered human rights campaigner Peter Tatchell. The rehearsed reading of the new play will premiere at PHM on Sunday 10 February 2019 as part of OUTing the Past, the national festival for LGBT+ history, and the museum’s 2019 programme, which is dedicated to exploring the past, present and future of protest. 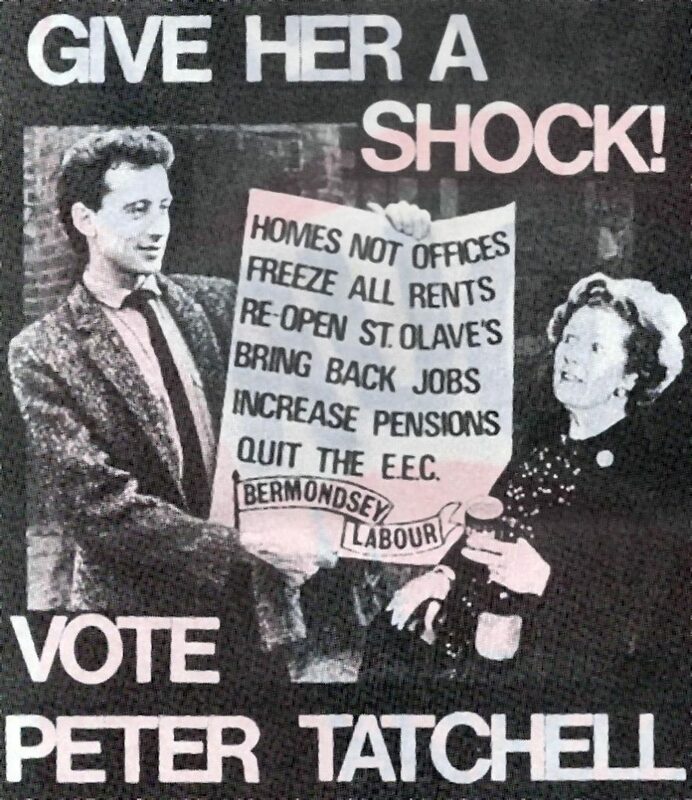 Of particular focus in the play will be the controversial 1983 Bermondsey by-election, for which Tatchell stood as the Labour Party’s parliamentary candidate. The resultant campaign has gone down in political history, notably for the homophobic abuse received by Tatchell and the way in which the by-election was reported upon. The subsequent win by the Liberal Party remains the largest by-election swing ever recorded in the UK. Stephen’s work has begun with a detailed study of the Labour Party archives, the complete holdings of which are held at PHM, which also holds the personal papers of Tatchell, and those of Michael Foot, leader of the Labour Party at the time of the by-election. Stephen has also been carrying out a series of extensive interviews with Tatchell in person. Peter Tatchell, best known for his work with LGBT+ social movements, will be in attendance at this first rehearsed reading of the one act play taking place at PHM on Sunday 10 February 2019 at 3.00pm. Following the reading there will be a Q & A with Peter Tatchell, facilitated by LGBT activist and historian, Paul Fairweather. The residency is part of PHM’s 2019 programme of activity that centres on the theme of protest; a highlight of which will be the museum’s headline exhibition Disrupt? Peterloo and Protest, which opens on Saturday 23 March 2019. The exhibition commemorates the 200th anniversary of the Peterloo Massacre in Manchester and will feature objects from the museum’s unique collection, including original Peterloo artefacts. Alongside the exhibition a gallery will become a Protest Lab, for individuals, communities and organisations to use as an experimental space for creative campaigning and collective action. Peter Tatchell is one of People’s History Museum’s 100 Radicals. This membership scheme celebrates the people whose ideas have shaped our society, giving the opportunity for individuals or organisations to sponsor the Radical thinker of their choice to raise funds to support the national museum of democracy’s historical collections, exhibitions and Learning Programme. People’s History Museum (PHM) in Manchester is the national museum of democracy, telling the story of its development in Britain: past, present, and future. The museum provides opportunities for people of all ages to learn about, be inspired by and get involved in ideas worth fighting for; ideas such as equality, social justice, co-operation, and a fair world for all. PHM offers a powerful programme with annual themes; 2018 looks at representation and commemorates 100 years since the first women and all men won the right to vote in Britain, 2019 will see a year of activities around protest movements to mark the bicentenary of the Peterloo Massacre in Manchester and the programme for 2020 will be on the theme of migration and identity. 2017-2018 winner of Kids in Museums Family Friendly Museum Award. We are the University aligned with industry – our work with global brands, SMEs and public bodies has put is in the top ten universities in the UK for consultancy. We provide our students with real-world, industry-relevant experiences to prepare them for employment, providing employers with future-focused graduates who understand the needs of industry. The University has the highest student satisfaction rate in Greater Manchester, as evidenced in the National Student Survey results for 2018. The University of Salford has over 20,000 students and 2,500 staff from around the world, with a global community of over 170,000 alumni. We are continuing to invest in our campus and facilities with a £300 million masterplan that is already underway. Visit http://www.salford.ac.uk for further information.